Australia’s Chief Scientist Dr Alan Finkel was announced as the winner of Australia’s most distinguished engineering award at Engineers Australia’s National Congress and National Awards Dinner in Melbourne this past Monday evening. 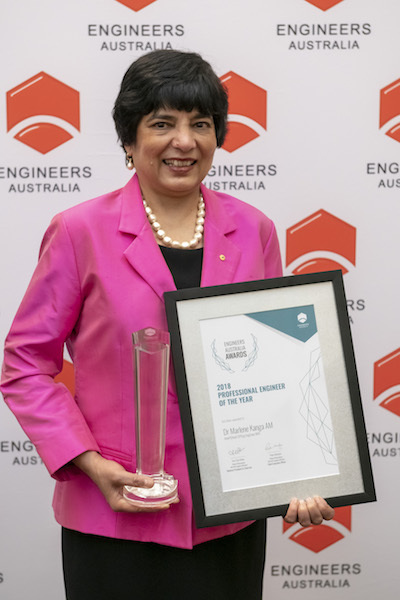 The medal is presented annually to an Honorary Fellow of Engineers Australia who has made a notable contribution to the science or practice of engineering in Australia. “Dr Finkel has excelled, and through his intellectual abilities continues to excel, in seemingly every domain to which he applies his mind,” Engineers Australia said in its annual report. Finkel began his career with a PhD in electrical engineering from Monash University before working in neuroscience and the pharmaceutical industry in both Australia and the United States. Before his appointment as Chief Scientist, he served as President of the Australian Academy of Technology and Engineering. 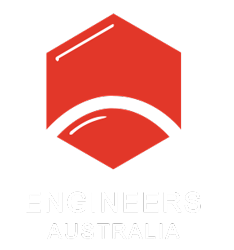 Engineers Australia’s report said Nicol’s award was “richly deserved”. Among the other engineers recognised at the annual awards evening were Professional Engineer of the Year Dr Marlene Kanga, Young Professional Engineer of the Year Stuart Cook, and Young Engineering Technologist of the Year Mark Price. Kanga is the President of the World Federation of Engineering Organisations (WFEO), and has had a successful career in the oil, gas and chemical industry. A previous National President of Engineers Australia, she was part of the team that initiated and ran the Engineers Australia Year of Women in Engineering in 2007 and was Chair of the National Committee for Women in Engineering in 2008 and 2009. Cook is the Design Manager on the Ipswich Motorway Upgrade Project Stage 1, guiding an 80-member team through the project’s high-pressure design phase. Price works as Energy and Electrical Project Engineer in Wood & Grieve Engineer’s Perth Office. He lobbied for changes in Western Power’s Technical Rules document, opening the door for more accessible solar photovoltaic systems of a scale greater than 30kVA. As well as these awards, Engineers Australia also recognised conspicuous service to the engineering profession and community through The President’s Prize, which is given at the discretion of National President Trish White on an annual basis. This year, President’s Prizes were awarded to the Newcastle Division Education Subcommittee for its Engineering Studies Teachers Program, and to Glen Crawley and James Hood for the Defence Engineer and Senior Technician Agreement. The agreement that was affirmed by Hood, the Director General of the Defence Aviation Safety Authority Air Commander, and Crawley, an Engineers Australia Registrar, aims to accredit and register Professional Engineers, Technologists and Associates across the Australian defence forces. It allows eligible engineers and technicians to gain access to Chartered Membership, Fellow and EngExcec opportunities. The Newcastle Division Education Subcommittee, which has been running an education program since 2014, now permits teachers to earn professional development points for enrolling. It is the first of its kind in New South Wales specifically for engineering studies teachers.